GAME OF THRONES kicked off its final season with a new take on its memorable opening credits. 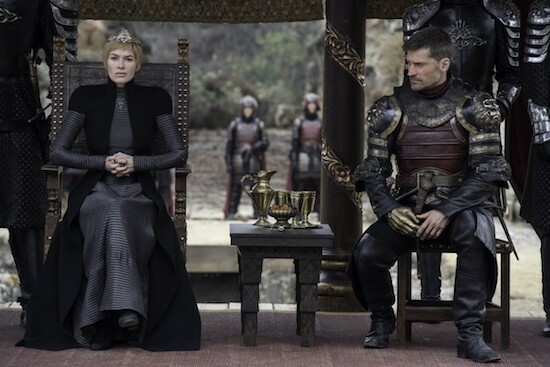 The final season of GAME OF THRONES is almost here—the pop culture phenomenon returns for its final six episodes on Sunday, April 14—and HBO has released a season 8 poster worth obsessing over. With GAME OF THRONES returning in April, HBO finally released a trailer for the upcoming eighth—and final—season…complete with a ton of a new footage. Lena Headey, Nikolaj-Coster Waldau (Credit: Macall B. Polay/HBO). The end is (almost) here: the final season of GAME OF THRONES will kick off Sunday, April 14, HBO announced. The eighth season will consist of six episodes. (And, certainly, a lot of death and mayhem.) The drama has been off the air since 2017, when the cable channel aired a condensed (seven episode) season 7. More than a year after the penultimate season of GAME OF THRONES aired, HBO has confirmed (officially) when the final season will air.